Professor Matti Siemiatycki is Associate Professor in the Department of Geography & Planning, and Canada Research Chair in Infrastructure Planning and Finance. His research focuses on delivering large-scale infrastructure projects, public-private partnerships, and the effective integration of infrastructure into the fabric of cities. Professor Siemiatycki was a faculty leader of StudentMoveTO, a joint initiative between the University of Toronto, York, Ryerson and OCADU that successfully developed a model for inter-university research collaboration and mobilization on city-building issues. Professor Siemiatycki is a highly engaged public scholar with a deep commitment to informing public discourse about city building. He regularly provides advice to governments, civic institutions and industry, and is a frequent commentator in the media and public realm on urban issues, with a honed ability to communicate with various audiences. 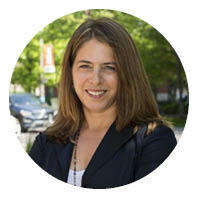 Shauna Brail, PhD is Associate Professor in the Urban Studies Program, Associate Director, Partnerships & Outreach, School of Cities at the University of Toronto and Interim Director of the Master of Urban Innovation program at the University of Toronto Mississauga. She is also Director of the Urban Studies Program (on leave until July 2019). She is a champion of experiential learning, and led the development of academic internships and community engaged learning in the Urban Studies Program for over a decade, working with students, university administrators and partners at urban-focused institutions across the city. From 2015-2018, Brail was the Presidential Advisor on Urban Engagement, and worked both within and outside of the university to develop partnerships and support initiatives which enhanced the university’s strategic priority of leveraging our location(s). Prior to joining the University, she worked in management consulting and in the Ontario provincial government. As an economic geographer, Brail’s research focuses on the transformation of cities as a result of economic, social, and cultural change. Her current research examines the disruptions taking place in urban mobility, particularly focused on the emergence and shifting strategies of ride-hailing firms and associated impacts on cities. Professor Mark Fox is Distinguished Professor of Urban Systems Engineering and Professor of Industrial Engineering and Computer Science. 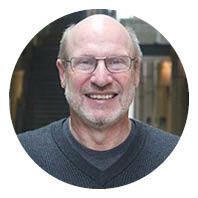 He is also the Director of the Centre for Social Services Engineering and the U of T Enterprise Integration Laboratory. His current research applies artificial intelligence to smart cities, and he has developed ontologies for the representation of city information and knowledge which are being adopted by cities around the world. Professor Fox has led numerous collaborations within academia and with industry and government partners, and is currently leading the Connaught-funded Urban Genome Project, a multidisciplinary initiative focused on understanding urban growth. In addition to his academic work, Professor Fox has extensive experience in the private sector. In 1984 he co-founded Carnegie Group Inc., one of the first companies to apply artificial intelligence to solving engineering, manufacturing, and telecommunications problems. He is a Fellow of the American Association for Artificial Intelligence (AAAI) and the Engineering Institute of Canada. Professor Marieme Lo is the Director of the African Studies Program and Associate Professor in Women and Gender Studies. 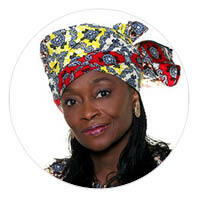 Professor Lo’s work encompasses the political economy and creative dynamism of African urban informal economies, migration studies, female entrepreneurship, economic justice and rights to livelihood, with a focus on the dynamics of urban transformation, urban governance, resilience, urban poverty and inclusive urbanism, particularly in post-colonial cities. Her SSHRC funded research project, ‘Entrepreneurial Nomadism’, explores and maps women entrepreneurs’ transnational circuits and trade mobility in cities across three continents. Professor Lo is also engaged in collaboration with grassroots women’s organizations, civil society networks such as the West Africa Civil Society, and international organizations such as UN-Women, the World Food Programme, and the United Nations Development Programme (UNDP). 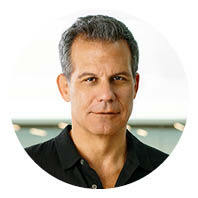 Professor Richard Florida is University Professor at the Rotman School of Management and the Director of Cities at the Martin Prosperity Institute. He is the author of several global best sellers, including The Rise of the Creative Class and most recently, The New Urban Crisis. He serves as senior editor for The Atlantic where he cofounded CityLab.